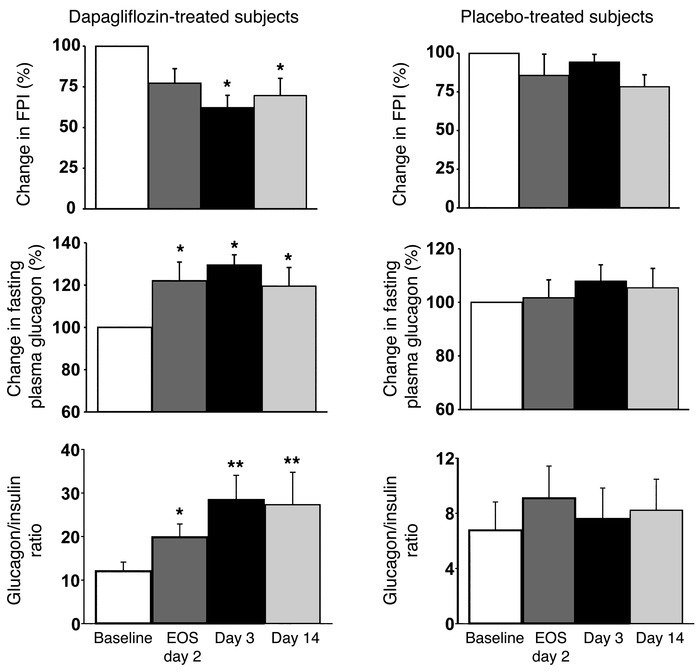 Change in the fasting plasma insulin and fasting plasma glucagon concentrations and the ratio between the fasting plasma glucagon to insulin concentrations after dapagliflozin and placebo administration relative to baseline. The baseline plasma insulin and glucagon concentrations represent the mean on the day of the baseline insulin clamp and on days 1 and 2 when HGP was measured. FPI, fasting plasma insulin; EOS, end of study. *P < 0.05, **P < 0.01.